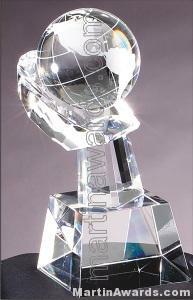 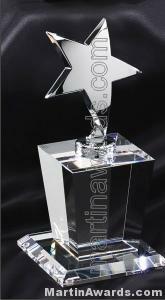 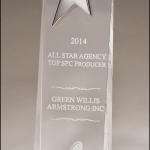 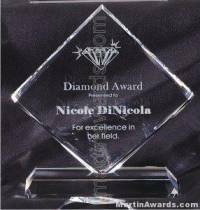 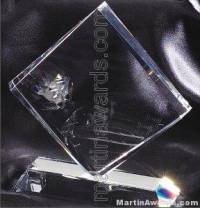 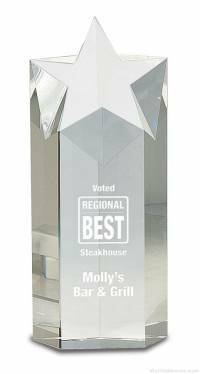 Clear Glass Free-standing Crystal trophy award with Silver Star with prism-effect base reflects a multitude of colors into the glass award. 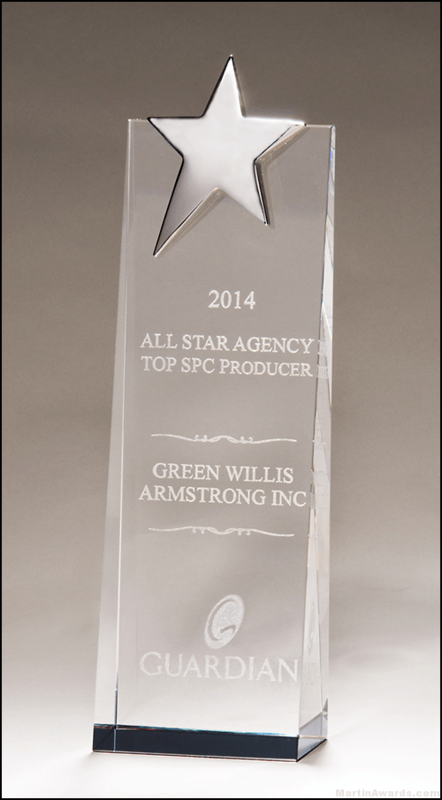 Recognize stellar or star award performance. 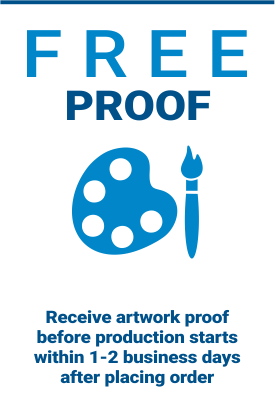 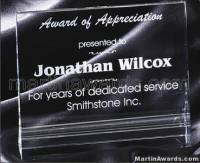 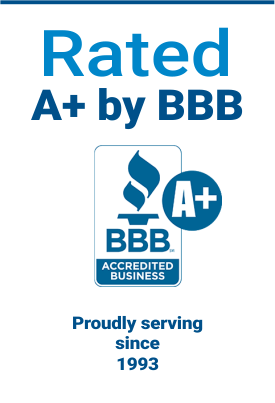 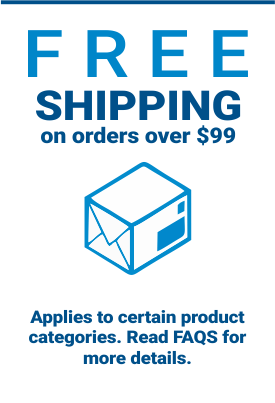 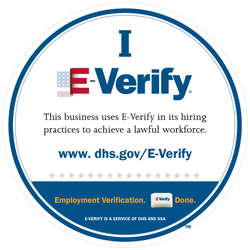 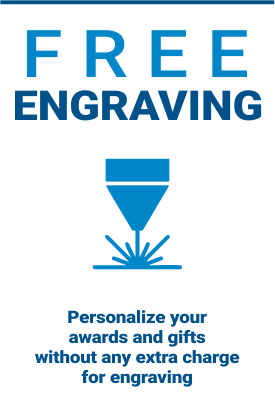 Great for sales, retirement or any recognition program.